PARM Process was officially initiated in Cameroon through March 2015 to December 2017. The joint process increased capacities and generated promising proposals for ARM investment. It also increased MINADER’s commitment to integrate ARM into the Rural Sector Development Strategy (RSDS) and the National Agriculture Investment Plan (NAIP). In 2017, PARM RAS identified crop pest and disease attack, post-harvest losses and price variability as the key priority risks facing the agricultural sector growth in Cameroon. Other risks such as drought and political insecurity are severe but only peculiar to the northern regions. PARM collaborated with partners and consulted diverse stakeholders to identify the right tools to address the most pressing risks. Stakeholders agreed on a Modernized Information System Connected to Warrantage Network. A feasibility study had already been finalised to present a proposal for investment into the identified ARM tool. In June 2016, PARM organised a capacity building (CD1) seminar to raise awareness on agricultural risk and prepare stakeholder for robust risk assessments and prioritization exercises. A significant outcome of the PARM Process in Cameroon is the Government’s pledge to mainstream the identified ARM tool Access to Information System Connected to Warrantage Network into the NAIP and the Sector Development Strategy document Rural (SDSR). All this is possible thanks to close collaboration between the Government of Cameroon, Ministry of Agriculture and Rural Development (MINADER), PARM, NEPAD and other strategic partners. In February 2015, the PARM team met the Cameroon delegation headed by the Ministry of Agriculture at IFAD Headquarters in Rome during the 38th IFAD’s Governing Council. The team presented the PARM process and its complementarities with the on-going agricultural value chain study funded by the Agence Française de Développement (AFD). 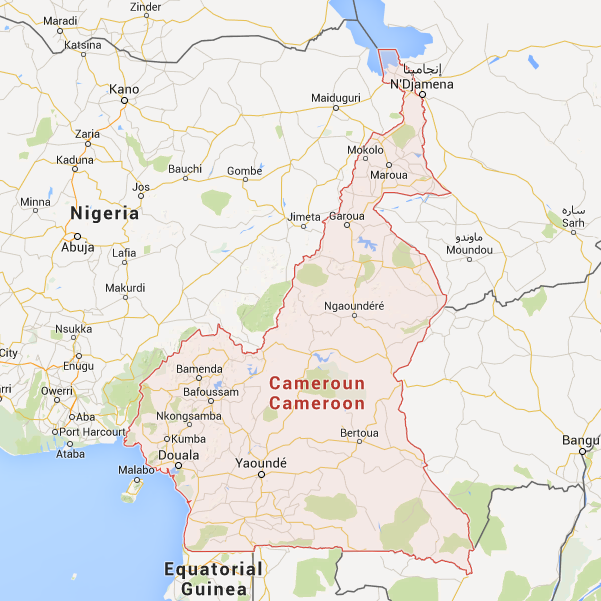 By March 2015, the team organized its first mission to Cameroon to get the official commitment of the Government and to develop a roadmap for integration of ARM into rural development policies. The mission was also an opportunity to meet stakeholders and identify synergies for the PARM Process. The Ministry nominated the Cameroon CAADP Focal Person as a lead representative for the PARM Process. In November 2015, PARM collaborated with the CAADP Country Focal Point to develop a roadmap for the PARM process in Cameroon and was approved by the Minister of Agriculture. PARM held another meeting with the Cameroon delegation headed by the Ministry of Agriculture (MINADER) at the IFAD Headquarters in Rome during the 39th IFAD Governing Council in February 2016. The meeting aimed at reaffirming the engagement of the Government of Cameroon in the PARM Process. In May 2016, a Terms of Reference (TOR) for Risk Assessment Study (RAS) was developed and discussed with NEPAD and the Government of Cameroon. Afterwards, a call for proposal was launched to identify consultant/institution to carry out the study. By October 2016, the IRAM contracted to undertake the study in collaboration with local experts. After the completion of the RAS, a National Stakeholder Workshop was held on 7 December 2016 in Yaoundé to present and discuss the preliminary findings in the report and identify the priority risks and potential ARM tools. PARM published the study in April 2017, following official validation from the Government. The first Capacity Development (CD1) Seminar was held on 15-16 June 2016, in collaboration with the Ministry of Agriculture and NEPAD. It aimed at introducing the national stakeholders to the holistic approach to ARM, PARM’s methodology for assessing risks, as well as an overview of ARM tools. PARM its partners identified Access to Information connected to Warehouse Systems as a key tool to manage the prioritized agricultural risks in Cameroon. A feasibility study into this tool was launched in September 2017. On the 7th of December 2017, PARM and its partners held a high-level workshop to disseminate the results of the feasibility study and present the investment plan for the ARM tool. The workshop also aimed at bringing stakeholder together to discussions commitments to integrate the ARM tool into the country’s policy framework. The findings from the feasibility study were finalised and validated in December 2017. The full report was later published in the PARM Library. After the long journey of PARM process in Cameroon, a final country report was compiled on 4th June 2018. The report is an important reference for all the major steps and related documentation including those on studies, workshops, and briefs.